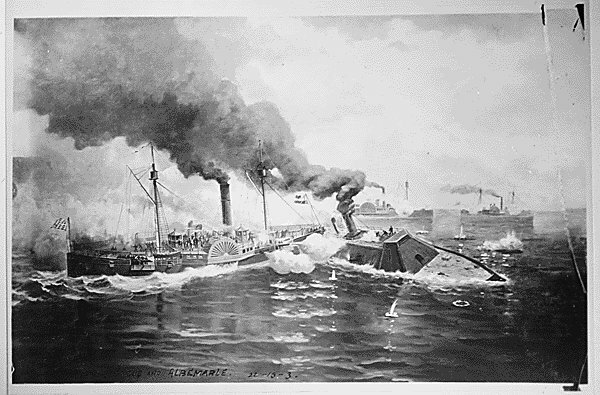 81k 19th Century photograph of an artwork, depicting USS Sassacus ramming the Confederate ironclad, during CSS Albemarle's engagement with Federal gunboats on Albemarle Sound, North Carolina, 5 May 1864. Sassacus was hit in a boiler and disabled during this action. 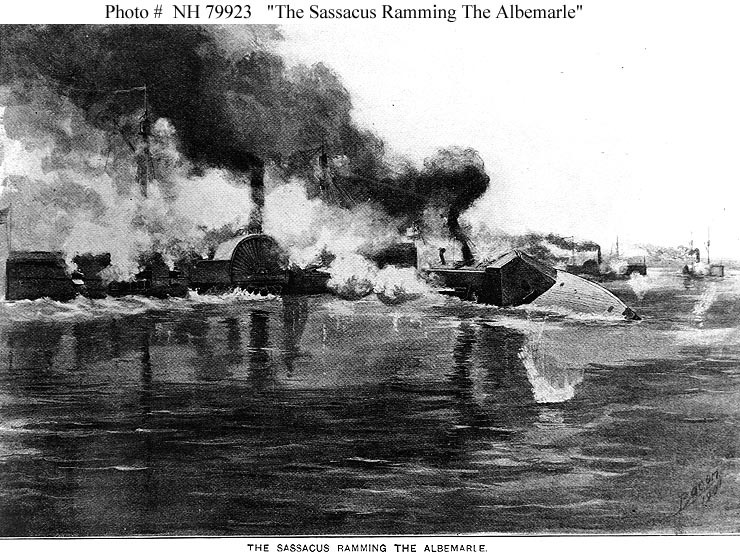 Albemarle was not significantly damaged by the ramming or by gunfire. 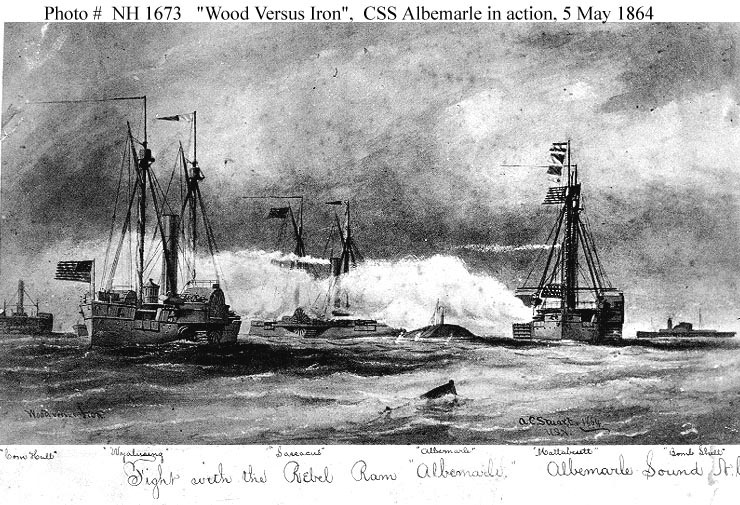 145k Artwork by Bacon, published in "Deeds of Valor", Volume II, page 58, by the Perrien-Keydel Company, Detroit, 1907 depicting USS Sassacus ramming CSS Albemarle, in Albemarle Sound, N.C., 5 May 1864. 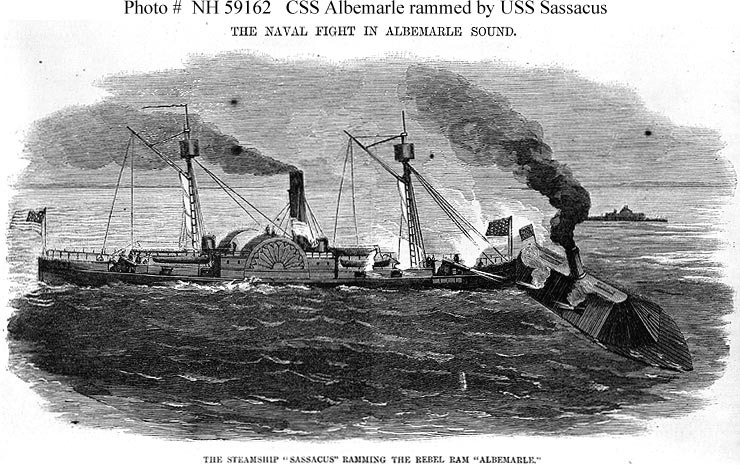 118k Engraving published in "Harper's Weekly", 4 June 1864, depicting USS Sassacus ramming ">CSS Albemarle, during the Confederate ironclad's engagement with US Navy gunboats in Albemarle Sound, N. C., 5 May 1864. 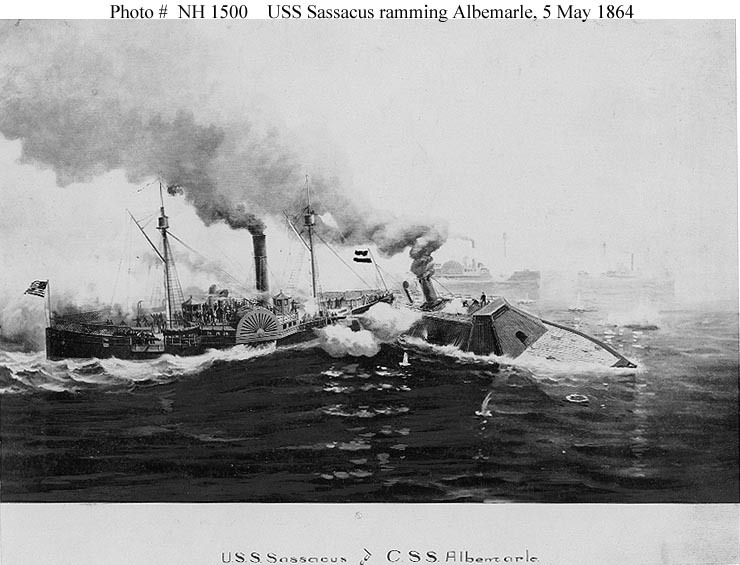 71k Battle between USS Sassacus and CSS Albemarle, May 1864. Copy of painting. ,1883 - 1966. Image from Still Picture Records LICON, Special Media Archives Services Division (NWCS-S).